Who knew that 3.5-inches could bring so much pleasure? Sony has announced it is discontinuing manufacturing of floppy disks in Japan, ending a 29-year-old love affair with the technology. Sony has said that a "lack of demand" – who'd have thought it? – was the main reason for ending production, which accounts for around 70 per cent market share of the storage media in Japan. The discontinuing of disks isn't immediate with Sony announcing it will stop production in 2011. That said the company already stopped producing floppy disks outside Japan in March this year so the writing has been on the wall for some time. Sony first began producing floppy disks way back in 1981. Its disk heyday came in 2000, when it was shipping around 47 million disks. Since then, the rise of CDs, DVDs and more recently USB drives have seen sales shrink to 8.5 million. 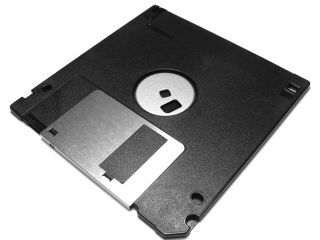 Sony is one of the last companies to stop production of the floppy, effectively killing off the format it helped pioneer.